This is a new video from WatchMojo that lists the top 10 biggest differences between Annihilation the book and movie. 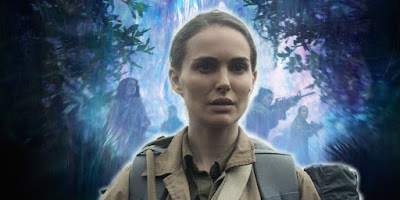 Based on Jeff VanderMeer’s best-selling Southern Reach Trilogy, Annihilation was written and directed by Alex Garland (Ex Machina, 28 Days Later), and stars Natalie Portman, Jennifer Jason Leigh, Gina Rodriguez, Tessa Thompson, Tuva Novotny and Oscar Isaac. It is out in theaters now. You can read our review here. video below.